CVS - 40% off Rimmel. BOGO50% on NYX, Revlon, L'Oreal, and CoverGirl. 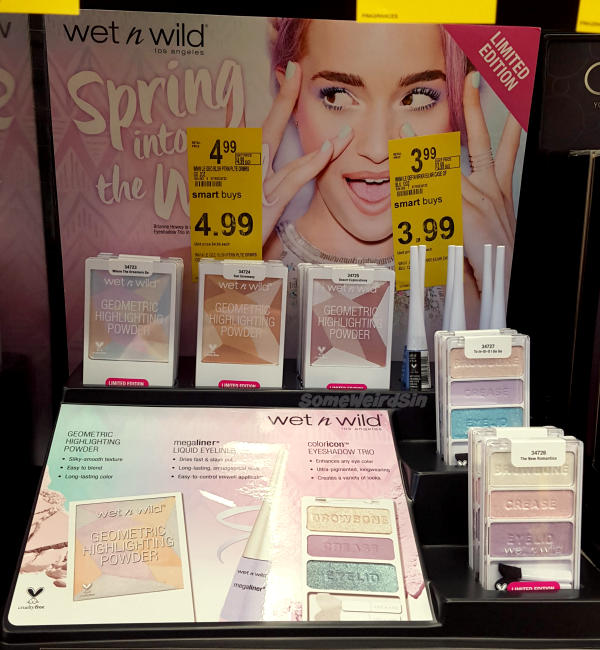 Rite Aid - 40% off ALL Wet n Wild. Revlon lip or eye $5.99 and nail enamel $3.99. BOGO50% on Sally Hansen, Physicians Formula, Neutrogena, Maybelline, select CoverGirl, and L'Oreal eye. There's some Plenti Points event too, but it's not making sense to me right now. Walgreens - Sinful Colors 2/$3! 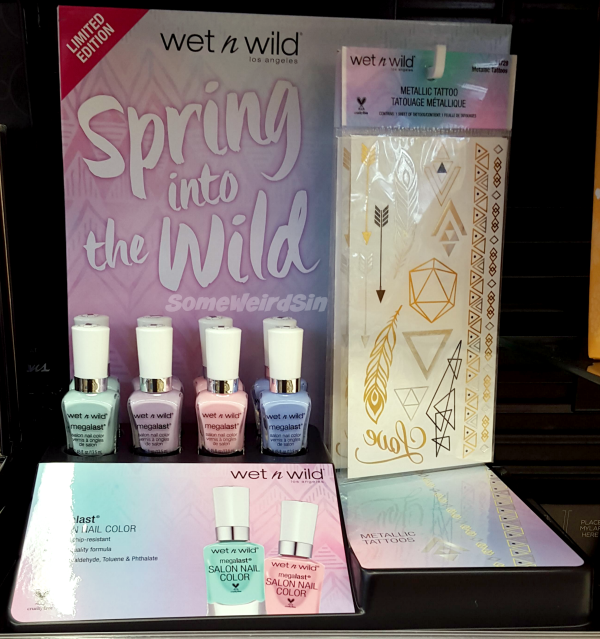 25% off select Wet n Wild nail. 5x Everyday points when you spend $10 or more, with coupon from circular. I totally called it last week. There are two Walgreens exclusives for this collection. They're Aced Out and Cash Game and you can see them on my Instagram. I'm wearing Aced Out right now and you need it! I'm hoping to get the other three swatched soon, but it might not be until next week. 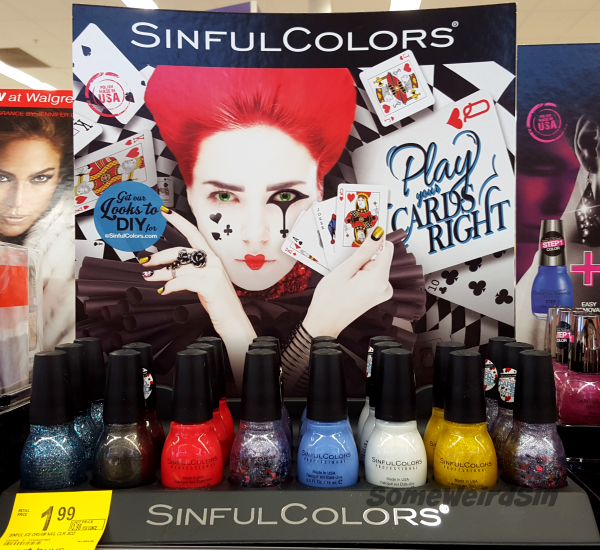 Most Sinful isn't new, but the rest aren't up on the Sinful Colors site yet. There's also stuff clearly missing from this display. I have no clue. Pastels. Woo. I can't tell if these are the same as last years or not. Pastel blindness. Did you notice something funky about the sticker on the display? That's not what megalast bottles look like. Maybe they're planning a change and the bottles weren't ready in time? The weirdness doesn't stop there either. The shadow trio and highlighting powder on the display aren't in the display. Are there more shades in a larger display or is this just a mistake? You know you hate pastels when the stickers are more interesting than the products. So that was kinda ho-hummy, but seriously...go get Aced Out and thank me later. I'll be updating the UPC List soon, but for now I have label photos here and here. Quick fibroid update while we're still here. I have the preliminary procedure on Thursday. Once that's done I'll know what kind of surgery I'll be having. I'll finally be able to schedule it too. These damn things need to leave already!